I woke up early on the 24th–7am to be exact. I was kind of in a funk and needed to do some last minute preparation for our various holiday celebrations that kicked off in just a few hours. 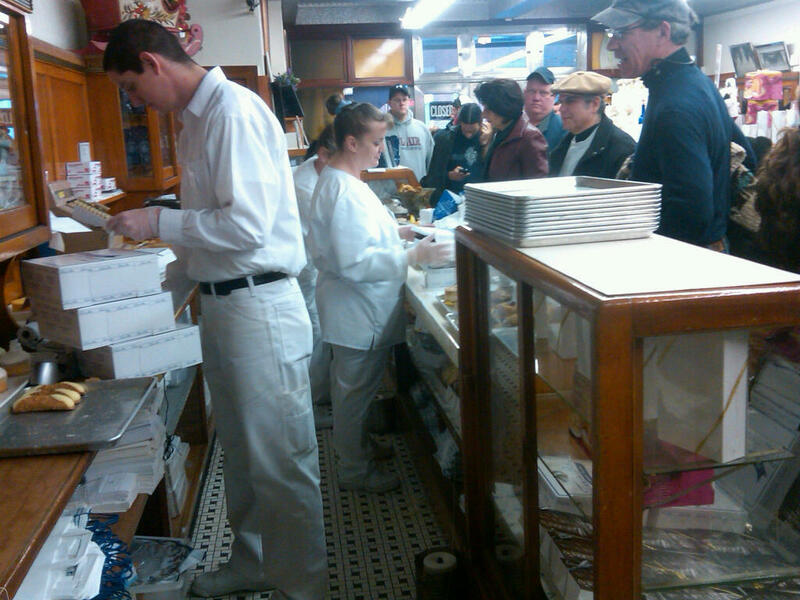 Because I was up so early, I figured I’d run over to Termini’s, one of our local Italian bakeries, to grab some cannoli and other treats for my grandparents. I got to Termini’s around 7:45 and snagged a spot in the loading zone right out front. 30 minutes should be more than enough time to get in and out, I thought to myself. I walked in the door and was greeted by these gentlemen. 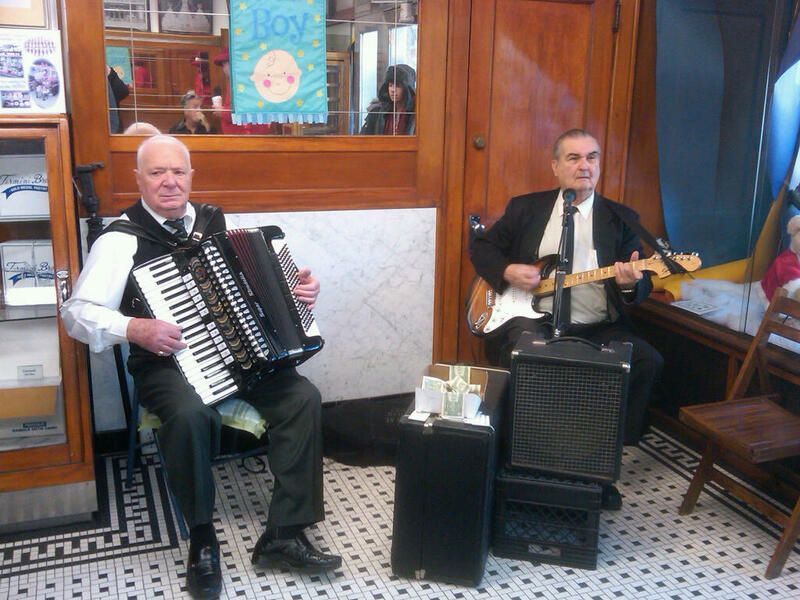 They were playing Christmas songs! I was also greeted by the most people were square foot I’ve even seen anywhere. It reminded me of Bombay. Well, it reminded me of what I think Bombay looks like. I’ve never actually been there. 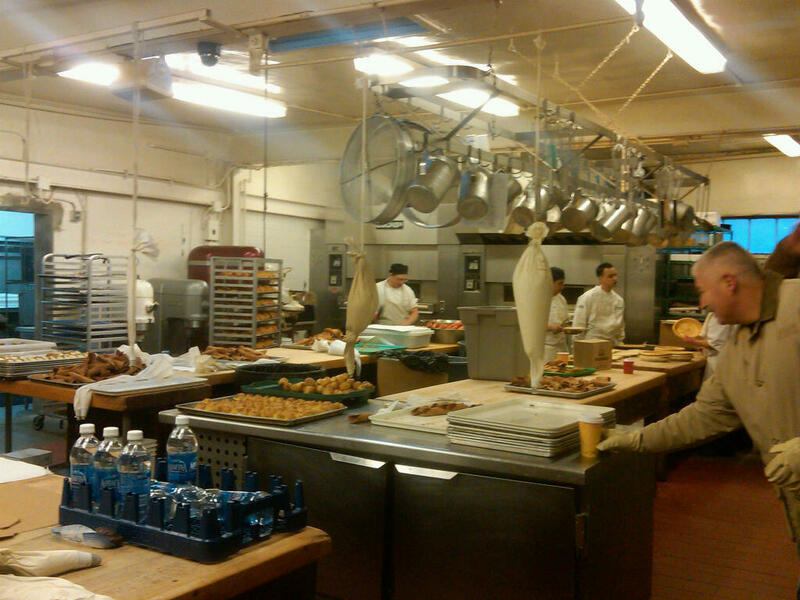 I was directed to the back of the line “in the kitchen.” In the kitchen, I thought to myself. That can’t be right. Incorrect, my friend. 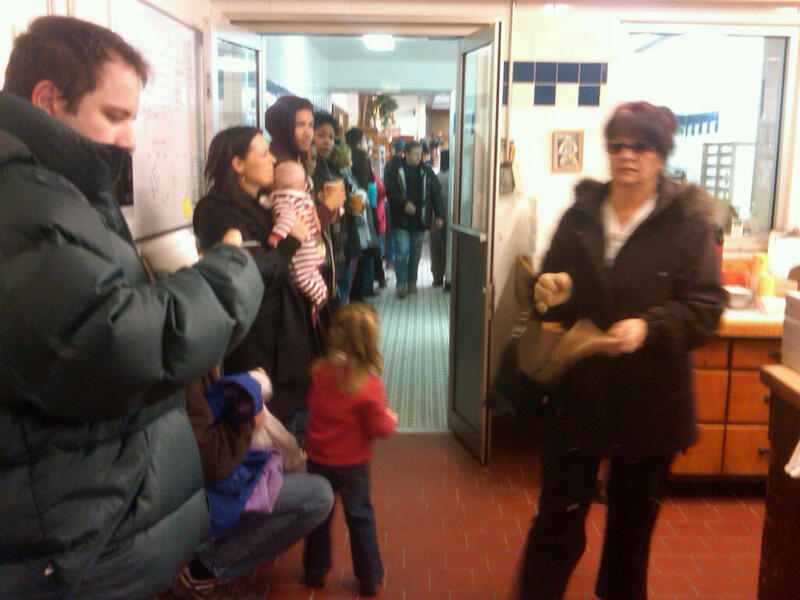 I made my way allll the way to the back of the line–in the kitchen. That was my picture from the back of the line. Luckily I got some shots of the kitchen. 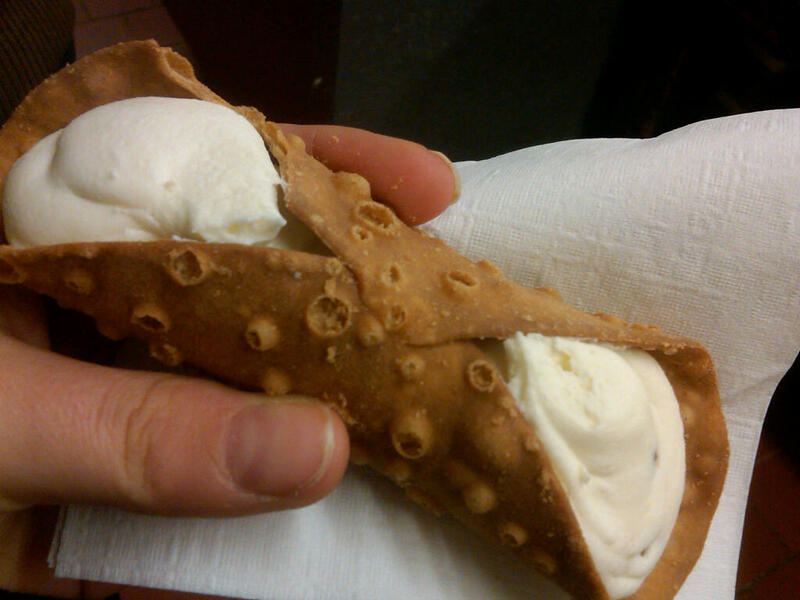 The I got distracted by the free cannoli they were handing out to the patient line-waiters. Cheese, my favorite!! Finally I got to the front of the kitchen. From there, the line wrapped around to the right and then all the way around the center case. 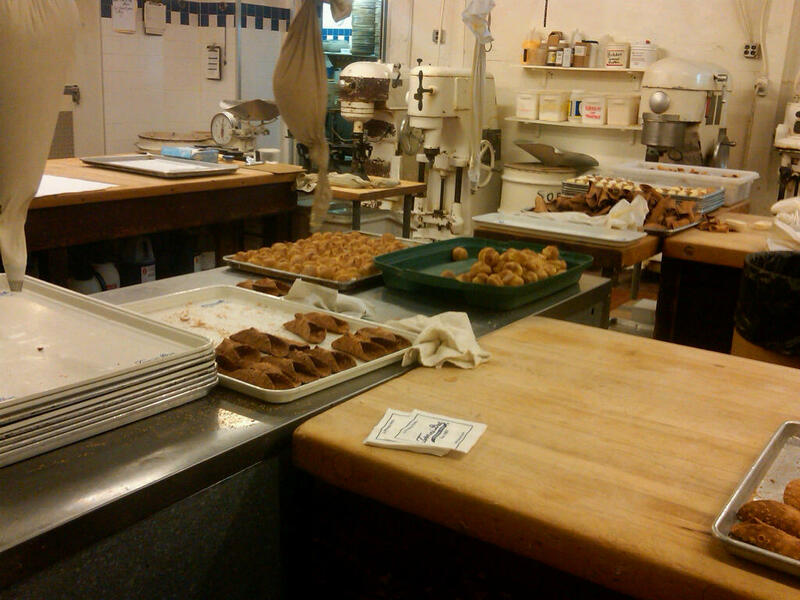 From there, I took photos of the various cookies and pastries that I passed in order to mark my spot in line. 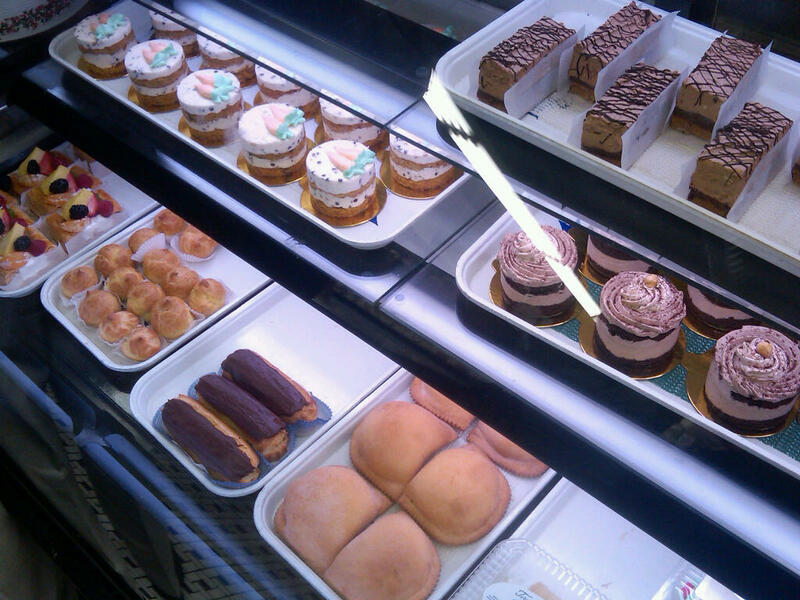 First I passed the refrigerated case with mini carrots cakes, tiramisu, eclairs and more. 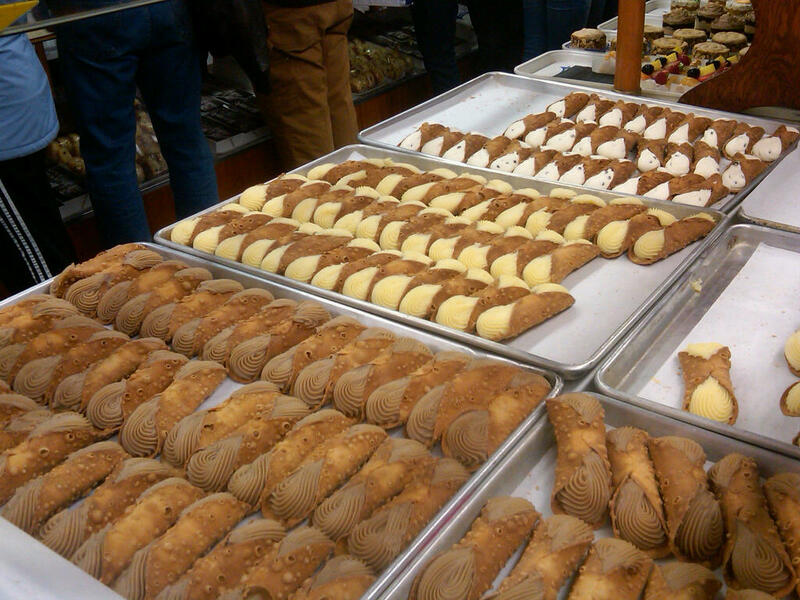 Next up, cannoli! 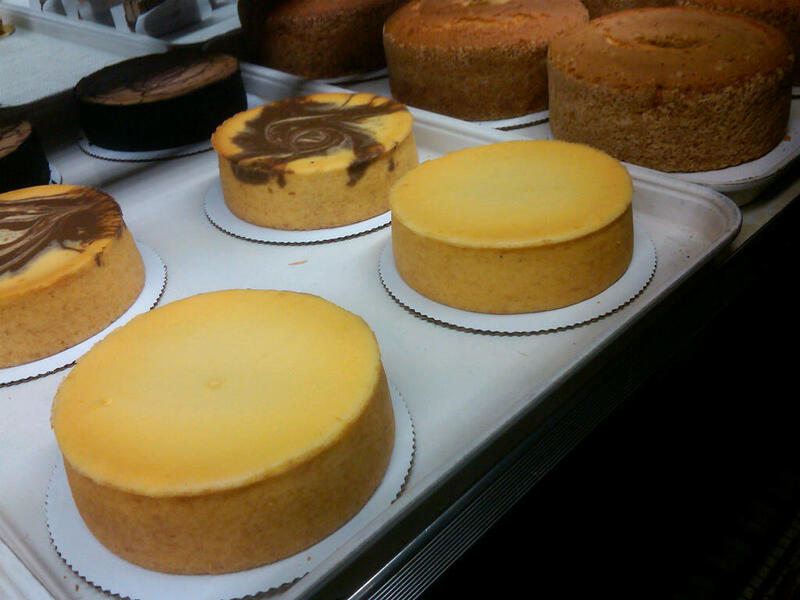 From front to back we have chocolate, vanilla and ricotta cheese. Meanwhile, check out the hard working staff. 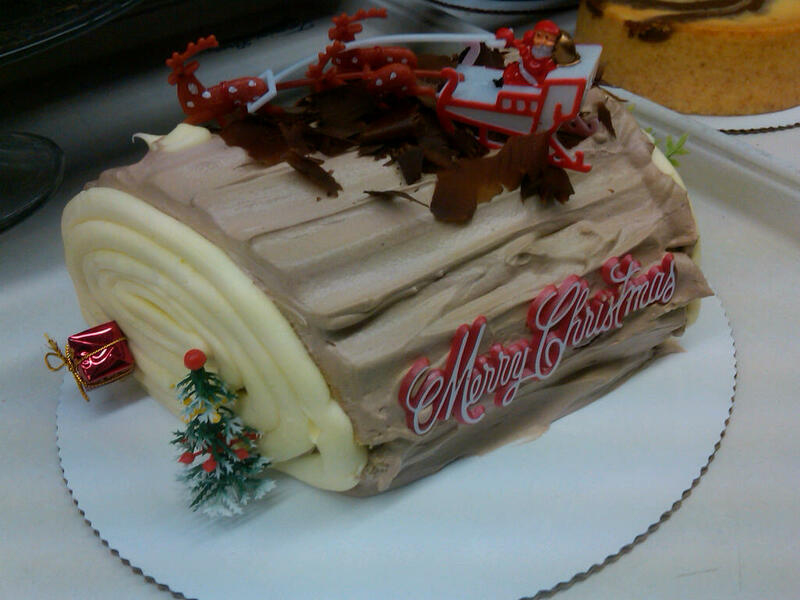 Next up, a beautiful Buche de Noel which is not, as far as I know, a traditional Italian dessert, but hey…we’re equal opportunity here. So festive! 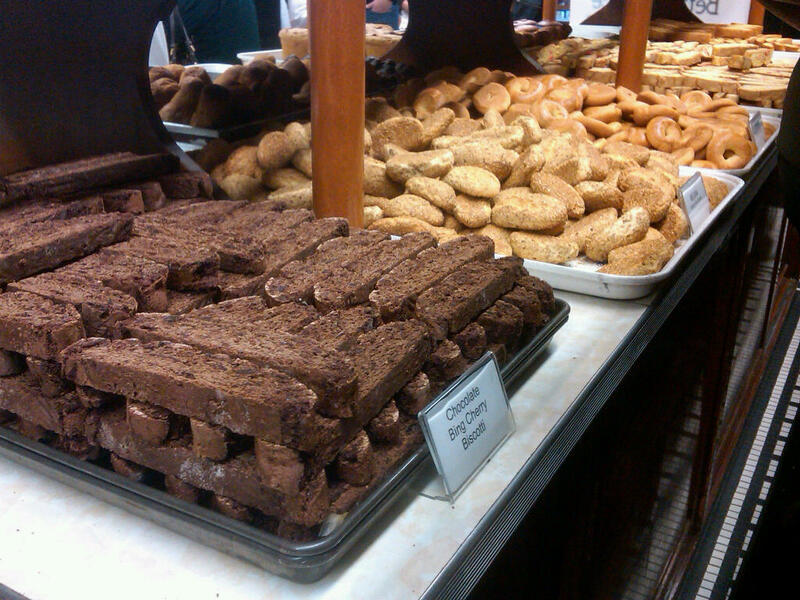 Finally I got to the biscotti at the front of the case. No comments regarding the integrity of their biscotti v. mine–mine may not be pretty but they still taste damn good! 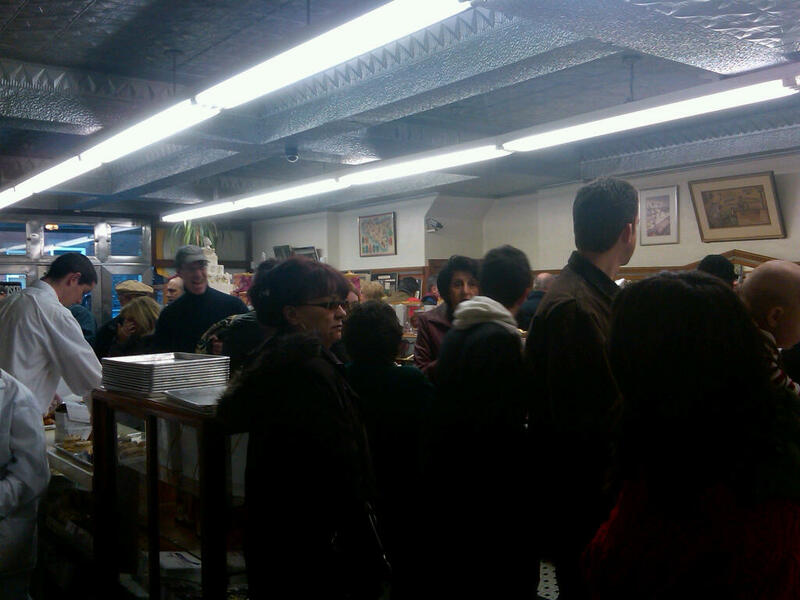 Your Yuletide visit to Termini’s was a masterpiece of urban travelogue.